Orione Care takes its inspiration from the Founder of The Sons of Divine Providence, Saint Luigi Orione, and guided by the teachings of the Catholic Church, we are committed to the motto to “Do good always and harm no one”. The Sons of Divine Providence is a Roman Catholic religious Congregation, founded in Italy in 1893. The Congregation takes inspiration from its founder Saint Luigi Orione, whose motto was “Do good always, do good to all, harm nobody”. 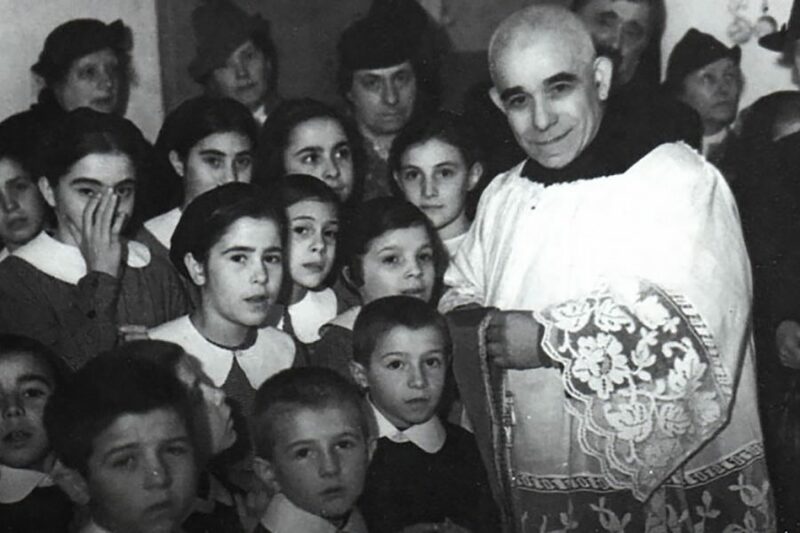 Don Orione is remembered for his commitment to social justice and the service of those in need, a service guided and inspired by the teachings of the Catholic Church. Don Orione began his work with orphans and street children in the city of Tortona in northwest Italy while he was still a student. He was a man of enormous energy and enterprise, and by the time of his death in 1940 Don Orione and his followers had established services for the care of the elderly, disabled and disadvantaged people all over Italy, as well as in Poland, Brazil, Argentina and Palestine. Today over a thousand priests and brothers of the Congregation are working in thirty-six countries around the world providing services for more than 200,000 people in a variety of health and social care projects. The Sons of Divine Providence came to England in 1949 when Fr. Paul Bidone arrived from Italy. He spoke no English and carried only a ten-shilling note and the name of one British contact. However, three years later he had opened his first home, Fatima House in south London, for homeless elderly men. At the time Fatima House was opened in 1952 the Congregation established a charitable trust as the vehicle for its work in England. In 2001/2 the Congregation in England restructured its affairs and founded a new charitable company to manage and develop its care and housing services in England (company number 4249759, charity number 1088675, registered social landlord number LH4338). The company, also called ‘The Sons of Divine Providence’, was constituted to be managed by a board of trustees, the majority of whom are members of the religious Congregation but also including lay members. With effect from 1st April 2002 the assets, liabilities and functions of the unincorporated trust were transferred to the new charitable company, which currently manages one care home for older people, two care homes for adults with learning disabilities, an activity centre for adults with learning disabilities (offering horticultural, art and craft activities) and 65 units of independent social housing, many accommodating supported living arrangements. From 1st April 2009 the English charity adopted the name ‘Orione Care’ so that it could more readily convey to the public the type of work undertaken. The new name allows the charity to develop its own identity, whilst retaining the link with the Congregation using the Founder’s name and by upholding its ethos within Orione Care’s operational policies. The charity’s registration numbers (listed above) were not affected by the adoption of the working name. Orione Care is committed to principles of social justice, diversity and equality. Its operational policy is guided by the teachings of the Catholic Church as expressed by the worldwide Religious Congregation’s philosophy of care, but its services are open to people of all beliefs and none and its members of staff are individuals of all religious faiths and none. Say ‘YES’ to life, Do Good, Harm no one, and be FAIR, by upholding our values of Fairness, Adaptability, Integrity and Respect. We uphold in conformity with Christian values and the teachings of the Catholic Church, the sacredness of human life in all its stages. We uphold the right to life of unborn infants, we support the education of the young, we respect the rights of workers, we welcome refugees and displaced persons, we oppose any of the indignities of slavery and servitude and we promote family life and a sense of community for all and we reject all passive and active practices of euthanasia. In this latter respect, people who wish to be admitted to Orione Care’s services are made aware that we reject euthanasia and will not co-operate in any deliberate act or omission intended to end a person’s life and will equally endeavour to provide palliative care that brings dignity to the person when they most need it. In our ‘YES’ to Life we strongly uphold the individual’s right to challenge and report to appropriate authorities any transgression of our values that constitute abusive behaviour towards others without fear of harassment for so doing. The overriding command of the Gospel is to love God and love your neighbour, which can be translated into ‘do good’. We believe that all people are important members of society and that people disabled by age or other factors are accepted more readily when those who surround them take care of them with esteem and affection, trying to compensate for their disability, offering rehabilitation, therapy or care and support, in a respectful manner which enhances independence. Through person centered care of the individual, living in a friendly atmosphere, will they be enabled to fulfill their physical, social, emotional and spiritual needs whatever their race, colour or creed. Hospitality demands giving shelter and protection from harm to any one in need. Striving to do good and harming no one can also be seen as the core of providing a Caring service. Peace is a value that many of those using our services and their families and visitors say they experience in Orione Care’s services and we would want to promote that by protecting these people from unnecessary conflict. “God, who has fatherly concern for everyone, willed that all people should constitute one family and treat one another in a spirit of brotherhood,” (The Church in the Modern World). Following the inspiration of Saint Luigi Orione “to do good always, do good to all, harm no one”, welcome all people into Orione Care’s services. We believe that each person is important, as each has been made in the image of God. We uphold Christian principles and values, respect for the individual and we oppose any kind of abuse or pressure on people who use the services. We will do our utmost to ensure that people who use Orione Care’s services enjoy the maintenance and promotion of personal autonomy and independence. We recognize the need to be adaptable if our service to others is to maintain the high standards we hold ourselves accountable to. This is displayed by our constant readiness to appraise the way we work, carrying out regular quality audits and always striving to learn from our mistakes. This is the key to providing a responsive and high standard of service. Our value of adaptability involves always improving through regular training to keep our skills and knowledge up to date. An important part of remaining in harmony with our Investors In People status. When we offer our service to someone we are honest about what we can provide. We never promise to do something that we know we cannot achieve or do not have the skills to deliver. We strive to always adhere to professional standards and to uphold the law of the land. We are mindful that we represent not only our own organisation but also the wider housing and care sector. It is thus our principle that we never act in any way that is harmful to others. We always endeavour to act in a way that respects the rights of the others as well as promoting the health, well-being and safety of all those involved in our service. The value we place on integrity in how our service performs also includes promoting a culture of readiness to speak out when we see things that are not right. To challenge those we feel are acting unprofessionally and reporting behaviour we feel is abusive. Respect begins by acknowledging our own limitations, respecting the opinions, life choices, beliefs or lack of faith of others and always being ready to provide our services to all regardless of difference. With respect comes the involvement of those we support, compassion with their situation, ensuring their dignity is upheld in knowing one’s basic right is the right of respect for life. To respect their need for security, in health as in sickness, until death. With respect also comes the value of respecting those who feel the need to report unprofessional or abusive behaviours and their right to be protected from victimization for so speaking out. To provide these services in a manner that maintains the economic viability of the organisation by actively reviewing how the charity’s assets are utilised and maintained, striving to make these more efficient in delivering benefit to the charity’s beneficiaries. To regularly evaluate our activities against the mission statement. Saint Luigi began his work with orphans and street children in the city of Tortona in northwest Italy while he was still a student. He was a man of enormous energy and enterprise, and by the time of his death in 1940 Saint Luigi and his followers had established services for the care of the elderly, disabled and disadvantaged people all over Italy, as well as in Poland, Brazil, Argentina and Palestine. Today over a thousand priests and brothers of the Congregation are working in thirty six countries around the world providing services for more than 200,000 people in a variety of health and social care projects. 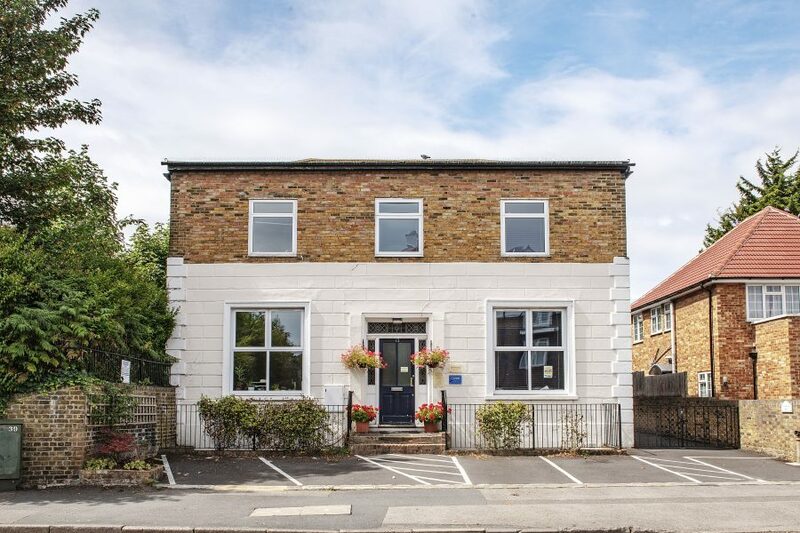 In 2017 Orione Care began a major re-evaluation of our activities and we have drawn up a plan to redevelop many of our older properties to bring them up to a 21st standard. Our work to achieve this will go on until 2021.